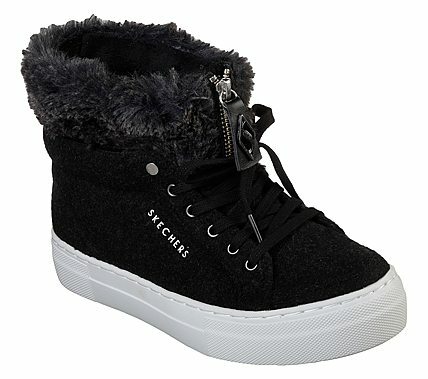 Cap off a great seasonal look with the sporty style and warm comfort of the SKECHERS Alba - Fuzzy Toppers shoe. Soft wool fabric upper in a lace up sporty casual cool weather low mid calf height sneaker boot with stitching accents. Faux fur collar trim, Memory Foam insole.